Nun ich konnte nie recht viel damit anfangen, aber als ich kürzlich bei Flickr auf einen Künstler aufmerksam geworden bin, macht das Ganze auf einmal mehr Sinn. Seine Kunst besteht darin Figuren aus Videospielen – die ja aus Pixeln bestehen, und sich dadurch perfekt dazu eignen – per Bügelperlen in Szene zu setzen. Immer wieder gibt es Ohrwurm Phänomene die meistens – extrem nervig – den Kopf einfach nicht mehr verlassen wollen. Rezent das bescheide Musikstück von Carly Rae im anspruchsvollen Text 4- Zeiler… Das Internet, vor allem YouTube, ist voll von Reaktionen und Remakes auf das Musikvideo. The Miami Dolphins Cheerleaders shot their 2013 Swimsuit Calendar in the beautiful Dominican Republic. We decided to have a little fun and make our own cover of Carly Rae’s “Call Me Maybe”. We hope you enjoy! Most jellyfish species have a relatively fixed life span, which varies by species from hours to many months (long-lived mature jellyfish spawn every day or night; the time is also fairly fixed and species-specific). 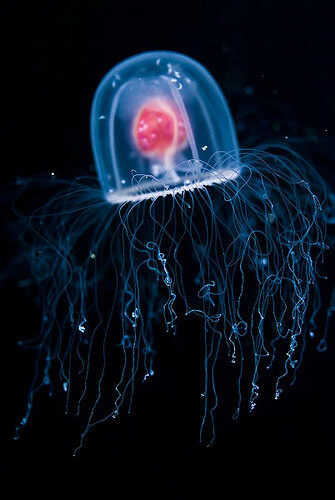 The medusa of Turritopsis nutricula is the only form known to have developed the ability to return to a polyp state, by a specific transformation process that requires the presence of certain cell types (tissue from both the jellyfish bell surface and the circulatory canal system). Careful laboratory experiments have revealed that all stages of the medusae, from newly released to fully mature individuals, can transform back into polyps. The transforming medusa is characterized first by deterioration of the bell and tentacles, with subsequent growth of a perisarc sheet and stolons, and finally feeding polyps. Polyps further multiply by growing additional stolons, branches and then polyps, to form colonial hydroids. This ability to reverse the life cycle (in response to adverse conditions) is probably unique in the animal kingdom, and allows the jellyfish to bypass death, rendering Turritopsis nutricula potentially biologically immortal. Studies in the laboratory showed that 100% of specimens could revert to the polyp stage, but so far the process has not been observed in nature, in part because the process is quite rapid and field observations at the right moment in time are unlikely. In spite of this remarkable ability, most Turritopsis medusae are likely to fall victim to the general hazards of life as plankton, including being eaten by other animals, or succumbing to disease. Happy Septem to all of you! Septaner? Seven? What’s all about this “Septem“?